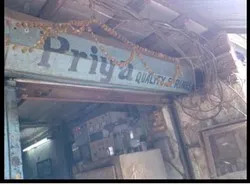 Established in the year 1994, we, “Priya Quality Springs”, are one of the most eminent Manufacturers and Traders of Industrial Springs and Parts. 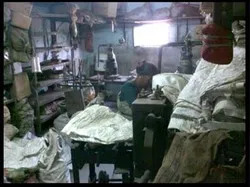 We hold expertise in manufacturing our products according to the client's specifications and requirements. Our wide range of products is known for its precise designs, durability, sturdy construction, high tensile strength and low maintenance. In the future, we are coming up with a new assortment of products that will include quarter pins of all sizes and spring washers. We have a large client base that is spread across the globe including countries like Israel and Saudi Arabia. Our products are used in the automobile and medical industries and our major clients in India are Godrej, Telco, and Bajaj. It is due to our wide distribution network that we are able to deliver our products within the stipulated time frame. The able guidance of our mentor 'Mr. Kamal Lala', has been the major reason behind our immense success. His management skills and business acumen are the factors that help our professionals in meeting the exact specifications of our clients. To maintain the international quality in our range of Industrial Springs and Components, we have in-house testing facilities like fatigue load testers, where our products have to pass through different quality testing phases. We lay paramount importance on the quality of raw material and we ensure that it is procured from reliable and trustworthy vendors. We give special attention to all the stages of production to ensure that our range of products is flawless and defect free. Our team is the epitome of our commendable success and one of the major reasons behind our huge client base. We have a team of skilled professionals, which helps us deliver quality products as per the specifications of our clients. Furthermore, regular training sessions are given to the team members to ensure that they are always abreast with the latest happenings in the industry.